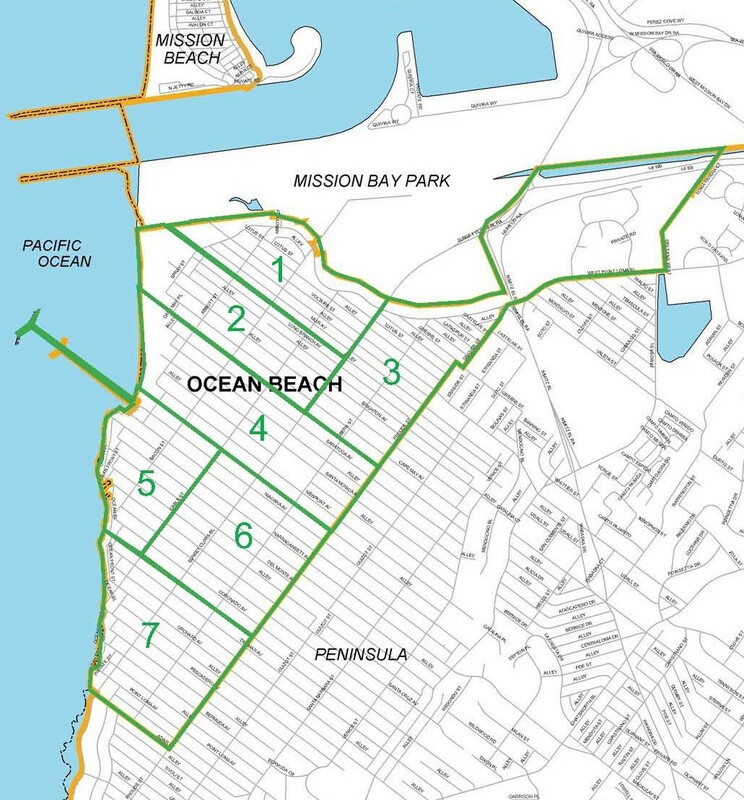 This map provides unofficial information on administrative boundaries in Ocean Beach. This is not official information and should not be relied upon for legal or permitting purposes. For official information, contact the City of San Diego Development Services Department. Click on the sidebar icon in the upper-left corner to control layers for zoning, floodplains, the coastal zone, and OB Planning Board districts.